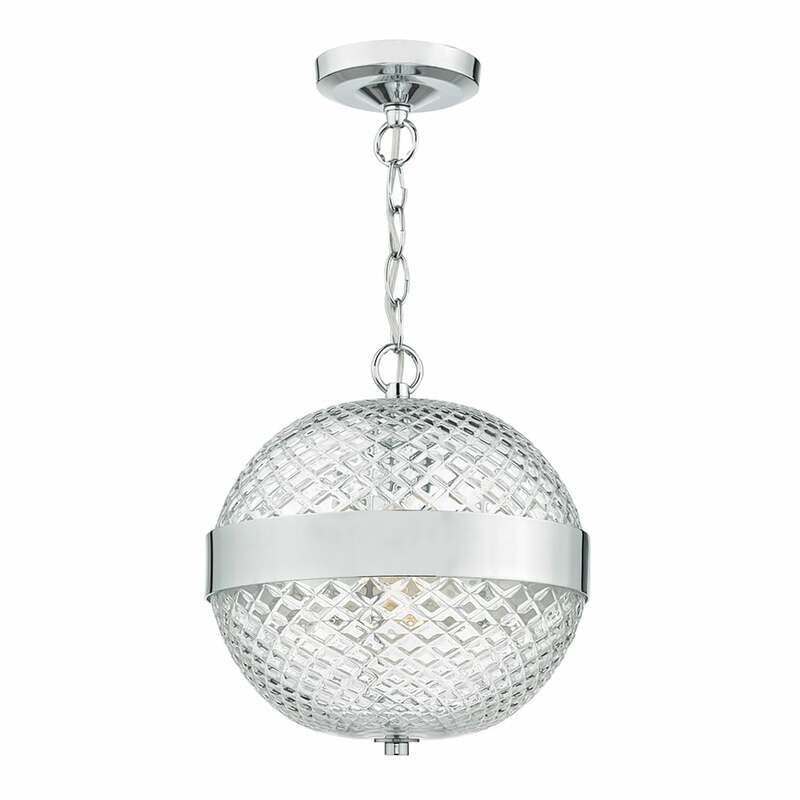 Dar Lighting Alexa single light ceiling pendant features a circular design ceiling plate with decorative chain, all in polished chrome finish, holding a sphere shaped cut glass style shade with polished chrome band. This beautiful pendant sits well in both contemporary on traditional style decors and has a retro feel. The cut glass style shade will create an interesting light display when illuminated and is a perfect addition to any room within your home. Double insulated and height adjustable at point of installation. This product code is ALE0150. A wide range of ceiling pendants can be viewed on our website.